This article first appeared in The Edge Malaysia Weekly, on June 26, 2017 - July 02, 2017. All EOY country winners vying for the WEOY title are inducted into the EY Hall of Fame each year prior to the announcement of the grand winner. 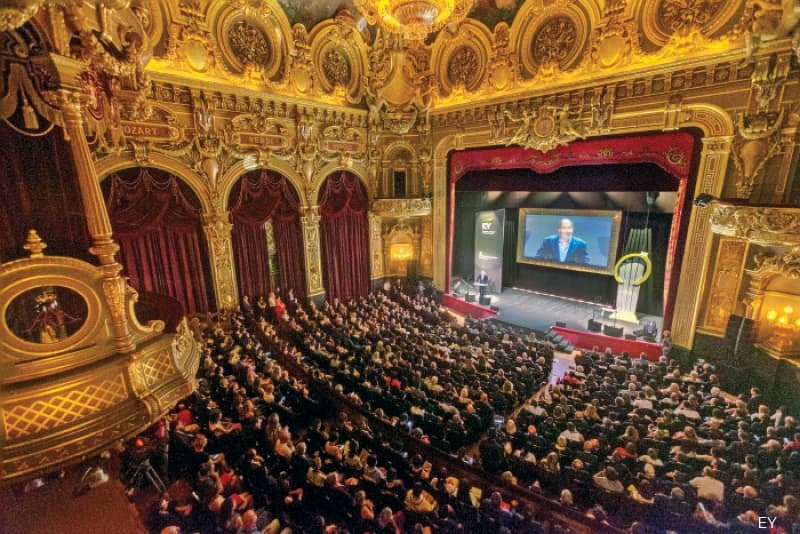 This year, the induction took place at the historic Opéra Monte-Carlo, which is part of the famous Casino de Monte-Carlo. It is a sunny, breezy Friday morning in Monte Carlo, Monaco, where some of the world’s top entrepreneurs have gathered for the coveted 2017 EY World Entrepreneur of the Year (WEOY) Award. And it is on this beautiful day of June 9 that these business elite are greeted by the news that Britain’s election has returned a hung Parliament, the latest in a series of political shocks fuelling the wave of uncertainty spreading across the world. To Malaysian business tycoon Tan Sri Francis Yeoh, the latest British poll results, following Donald Trump’s win in the US presidential election and the unexpected vote for Brexit, are a manifestation of the disappointment of citizens in their government’s inability to solve their everyday problems, like joblessness, and an opportunity for entrepreneurs to provide the solutions. Yeoh recalls that Alibaba’s Jack Ma made the same point at an economic forum when he said the US had wasted over US$14 trillion in fighting wars over the past three decades rather than invest in infrastructure at home. As the managing director of infrastructure conglomerate YTL Corp, it is understandable that Yeoh is passionate about infrastructure and optimistic about the future in the face of the opportunities he sees, especially with China’s ambitious One Belt One Road initiative coming into the picture. “If China does this right, it will certainly herald a lot of opportunities for both nations and companies,” he says. More importantly, Yeoh, who was in Monte Carlo to take part in a debate on “The Future of the Company”, believes entrepreneurs will be able to see opportunities everywhere despite the fast-paced changes that are taking place across the globe. Yeoh was also Malaysia’s EY Entrepreneur of the Year in 2002. Like Yeoh, 90% of business leaders in a recent EY survey see uncertainties in the world today as an opportunity for growth. The EY Growth Barometer study polled 2,340 chief executives and senior leaders of middle-market companies — those with revenues of between US$1 million and US$3 billion — as well as selected high-growth companies of less than five years in 30 countries. Over a third or 34% of those polled plan to grow between 6% and 10% this year — more than double the World Bank’s latest GDP growth forecast of 2.7% — while 14% of them are aiming for growth of over 16%. Moreover, even with Brexit on the horizon, UK startups display the highest levels of confidence among the countries surveyed, Kimmit points out. 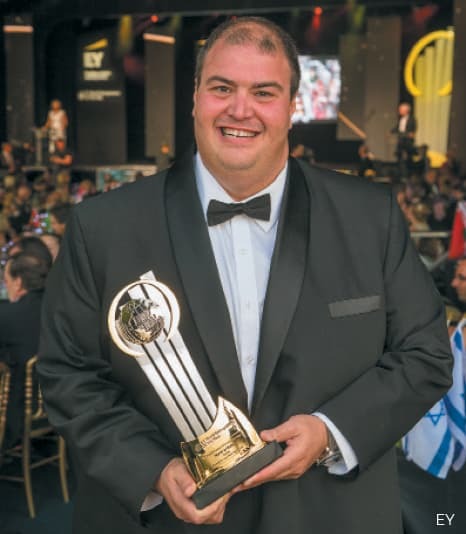 To Canadian lentil king Murad Al-Katib — declared the winner of the 2017 WEOY Award at a glitzy gala dinner at Monte-Carlo Sporting the following night — an entrepreneur should be able to recognise uncertainties or threats, analyse the situation, define the problem and then find the solution that can be turned into a business opportunity. His own start in the global lentil business, which began with a business plan that he drafted in the basement of his house after quitting a job in government, is a perfect example. The son of Turkish immigrants, Murad built the business from scratch in the face of rising food security issues into what it is today — the largest, vertically integrated supply chain for lentils, chickpeas and peas, which are protein-rich crops that are especially popular in India and the Middle East. “I did what every young entrepreneur does. I thought about the world and realised that the world would need to feed 10 billion people [in the future]. And when I looked at the journey of bringing affordable protein to the world, I saw that Canada had a role to play,” says the president and CEO of AGT Food and Ingredients Inc.
At the time, farmers in rural Canada’s Saskatchewan, which Murad calls home, were starting to grow more pulse crops amid rising demand for good and affordable protein, driven by population and income growth in emerging markets. But the conversion was slow. So when Murad started his lentil processing company in 2003, he convinced Canadian farmers to add pulse crops to their traditional focus on wheat and oilseeds. “These crops naturally fix the nitrogen in the soil; they’re among the most water-efficient protein sources in the world. They actually boost the follow-on when they plant cereal grains again. So farmers win and the world gains a new protein source,” he says. On top of that, pulse crops are an environmentally sustainable protein source that produces a low carbon footprint and are extremely efficient in terms of water use. “To produce a pound of beef, we need 1,850 gallons of water. To produce a pound of lentils, it is only 43 gallons. So this [what we’re doing] is part of society’s imperative to feed 10 billion people,” explains Murad. Today, AGT, which went public in 2007, generates revenue of over US$1.4 billion, employs more than 2,000 people in five continents and exports about 23% of the world’s trade in lentils to more than 120 countries around the globe. Certainly, geopolitical risks are a big part of an international business like Murad’s. “If you look at my business, which is a basic food protein business, one of my major markets [today] is North Africa and the Middle East. When I look at [incidents like] Arab Spring and all that’s happening there, I see [issues like] food, inflation, food stability, and all that forming a major part of the governments’ programmes to react to instability and stop conflict in the region. So, that became an opportunity for us,” he says. That is why, to him, the whole concept of social entrepreneurship is going to become the norm in the future because entrepreneurs will help solve the problems of the world. “[Whether it is] clean drinking water, clean air or food security, entrepreneurs will find the solutions in partnership with governments,” he stresses. China Media Capital Group’s Li Ruigang, who has earned the moniker “China’s Rupert Murdoch”, thinks the world has always been full of uncertainties. “But a lot of these uncertainties are actually blessings in disguise. Only by gearing ourselves up might we be able to accomplish beyond our usual calibre and produce results beyond our own estimation,” he says. Li, too, is optimistic about the future. In fact, CMC just acquired a small stake in Creative Artists Agency — the Hollywood talent group that represents stars like Beyoncé and George Clooney — as part of a partnership deal to form a new media and entertainment joint venture in China with the US company, and is now on the lookout for more buys, he tells The Edge, without specifying any targets. Last year, CMC, which was founded by Li in 2009, extended its Hollywood reach when it bought equity interest in Imagine Entertainment, the production house behind Apollo 13, A Beautiful Mind and The Da Vinci Code. In 2015, the company, which owns significant stakes in Imax China and Oriental DreamWorks and has joint ventures with Warner Bros, bought a stake in the consortium that controls Hong Kong’s Television Broadcasts Ltd. In a nutshell, the world, like what Luxembourg’s 2016 EOY and Groupe CWA owner Claude Wagner says,“is undergoing a great change and that means great opportunities, but also a hell of a lot of risks”. Groupe CWA is a conglomerate of over 20 companies with businesses in construction to sport. But as India’s 2016 EOY and Samvardhana Motherson Group chairman Vivek Chaand Sehgal says: “Crossing the road is risky too ... so risks, well, you got to get comfortable with [them].” His company is one of the world’s largest auto component makers and the biggest in India. Vishal: What can I bring that will make it [the world] better? That essence of entrepreneurship is what the future is about...we have to get to a point where all of us are entrepreneurs. Though political events are shaking up the world and creating uncertainties, technology is the mother of all disruptions, sparking both excitement and fear, depending on whether you are the disrupting entity or the one being disrupted. 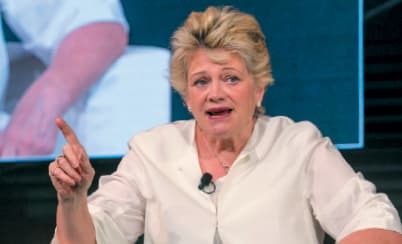 One question that arises at the fear end of the spectrum is the displacement of workers, an issue that was raised at the WEOY forum that drew more than 1,500 entrepreneurs from across the globe this year, including past and present EY country winners. There is no doubt that artificial intelligence (AI) and the use of automation are on the rise and a recent survey by a human resource consultancy found that one in six employees in Singapore, Malaysia and Hong Kong fear that automation will take away their jobs. The reality is that, ready or not, that fear will soon come true. “This isn’t about whether the workforce doing basic labour is going to be displaced. This is about everyone. No matter how sophisticated your work, if you’re essentially pulling a lever, however complex, if you’re doing the same job this week that you’ll be doing next week, someone like me is going to come along and think, ‘I bet I can automate this [and make it] cheaper, faster and better’,” says Dr Vivienne Ming, one of the speakers at the WEOY forum this year. The theoretical neuroscientist and entrepreneur’s career is centred on inventing machine-learning technologies, and researching and writing about their impact. The notion of a “worker-less workforce” in the future is not far fetched. Indeed, it may happen sooner than expected. 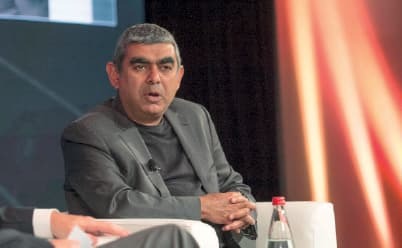 In fact, according to Indian IT giant Infosys CEO Vishal Sikka, in recent years, there have been “breathtaking advances” in AI, which he describes simply as the science of making machines do things. He cites Google’s AlphaGo as an example. The AI developed to tackle Go, the world’s most demanding strategy game, has been defeating the world’s best talent in the game. After taking down world champion Lee Sedol last year, AlphaGo went on to win against China’s top-ranked player Ke Jie in May this year. It also overcame a team of five top players in the same week. Vishal also highlights how robots can make an omelette after watching a video of someone doing it. “The point here is not about using a robot to make an omelette but about how a robot has the capacity to learn. More sophisticated techniques are becoming possible to be learnt by machines,” he says, adding that these technologies are going to develop exponentially in our lifetime. Hence, without a doubt, a whole category of jobs is going to become obsolete, says Vishal, who has been steering Infosys into newer areas like AI and automation. He adds that these new technologies do not just present challenges but also opportunities. “All these [new technologies] create opportunities for us. For people who have an entrepreneurial mindset, there’re opportunities in building these systems. We have to understand that AI is not falling from the sky; it is not some god giving it to us. People are writing AI software and we can all learn to do the same thing. Building, maintaining and integrating AI systems — that’s going to be a huge opportunity in the near future,” says Vishal, who has a PhD in Computer Science. So, a shift in mindset is important, says Vishal, because AI technology will get to a point where any problem that can be precisely articulated and described can be automated. “Like the father of AI, John McCarthy, said, ‘Articulating the problem is half the solution’. So, anything that can be precisely articulated and mechanically classified is going to be out of the picture. In such a situation, what is the human frontier? If you think about it, it is entrepreneurship, it is innovation. It is looking at the world around us, this room even, and seeing what is not there. “What can I bring that will make it [the world] better? That essence of entrepreneurship is what the future is about ... we have to get to a point where all of us are entrepreneurs. I don’t see any way around that. [Because] we are going to get to a point where machines will be able to do everything if we look backwards. We have to be the ones to look forward,” he stresses. In the face of a rapidly changing world, where uncertainties rule and disruptions are the norm, Tamara Erickson, adjunct professor of organisational behaviour at the London Business School, opines that organisational leaders will be either iconic because of their ability to get people to think or exert, or failures if they cannot. “I like to call it ‘mobilising intelligence’. This idea of getting people to think is probably our most important challenge as leaders today. Thinking is an activity you can’t standardise and you can’t force me to do something or tell me how to do it. Frankly, you won’t even know if I’m doing it or not,” she explains. This is what the knowledge economy is all about, she says, adding that it is about bringing in innovation, intelligence, collaboration, engagement and passion to make an organisation stand out. “Your job as a leader has changed [from the early industrialists]. It’s no longer about requiring somebody to do something or monitoring them to see whether they’ve done it. It’s about figuring out a way to get them to want to do it. You’ve got to get me to want to think and to really want to dig deep and come up with [something],” she tells entrepreneurs in her discussion on “Future-proofing your workforce” at the WEOY 2017 forum in Monte Carlo. Organisational leaders, Erickson says, should also ask themselves who are the core people they must have around every day to do or coordinate what needs to be done. In that sense, instead of lamenting about job-hopping workers, especially millennials, organisations should look at building that pool of community talents they can tap on a need-to basis. So, if organisations want millennials, they have to think about how to make every day interesting and challenging for this generation, says Erickson. In return, they will get people who do things in radically different and more creative ways. Besides money, she says the single biggest thing organisations can offer is a commercially valuable credential or “badge” that workers can earn to show a skillset that has been developed and has commercial value outside the organisation. “I know organisations don’t want to train people for others but tough, get over it. That’s the way the world is going to be. If you offer enough ‘badges’, I may stay to earn them. If not, I’ll get that one ‘badge’ and go elsewhere to learn [earn] another,” she adds. Regarded as a thought leader on generations in the workplace and a widely respected authority on leadership and the changing workforce, Erickson has been named four times as one of the 50 most influential living management thinkers in the world by Thinkers50, a ranking of global business thinkers.